Hoi An has been through a few centuries of history, but still remains as in the very first days of its being born. Its two main historical landmarks are the occupying of the Japanese & Chinese, and the Western (Dutch and Spanish) during the 16th and 17th centuries. During the period of the China trade, the town was called Hai Pho (Sea Town) in Vietnamese. Originally Hai Pho was a divided town, because across the "Japanese Bridge", it used to be the Japanese settlement (16th-17th century). Then it was known to the French and Spanish as Faifo, a major international port city. Thanks to these days, the foreign comprehensively positive and special pastimes and culture had made deep influences on the today's Hoi An. As we mentioned earlier, the local cuisine around Hoi An is unique, and we recommend that you take the opportunity to try it out. 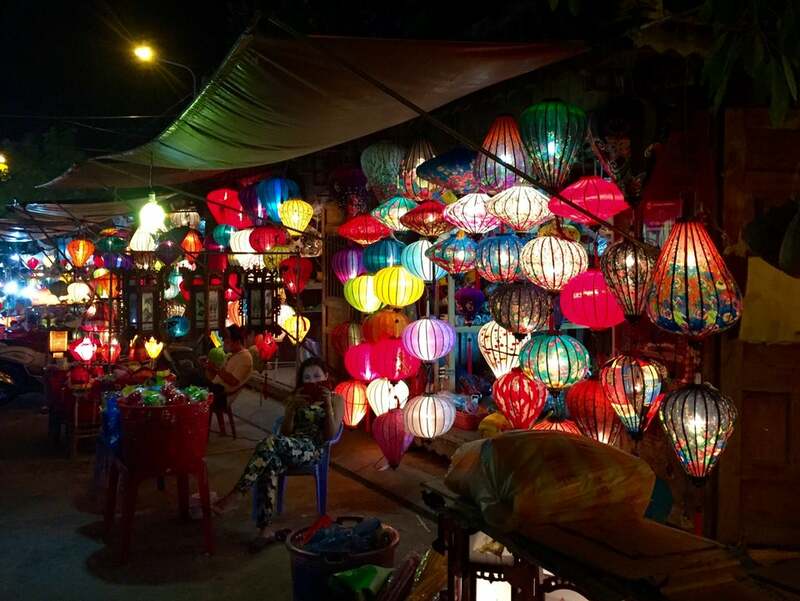 Hoi An has an eclectic mix of restaurants, and you will have plenty of dining options. Look for Cao Lau on the menu, which is a noodle soup unlike pho and other noodle soups you will find in Vietnam. Also be sure to try white rose dumplings, which are shrimp dumplings shaped with the translucent cover formed in the shape of a rose. 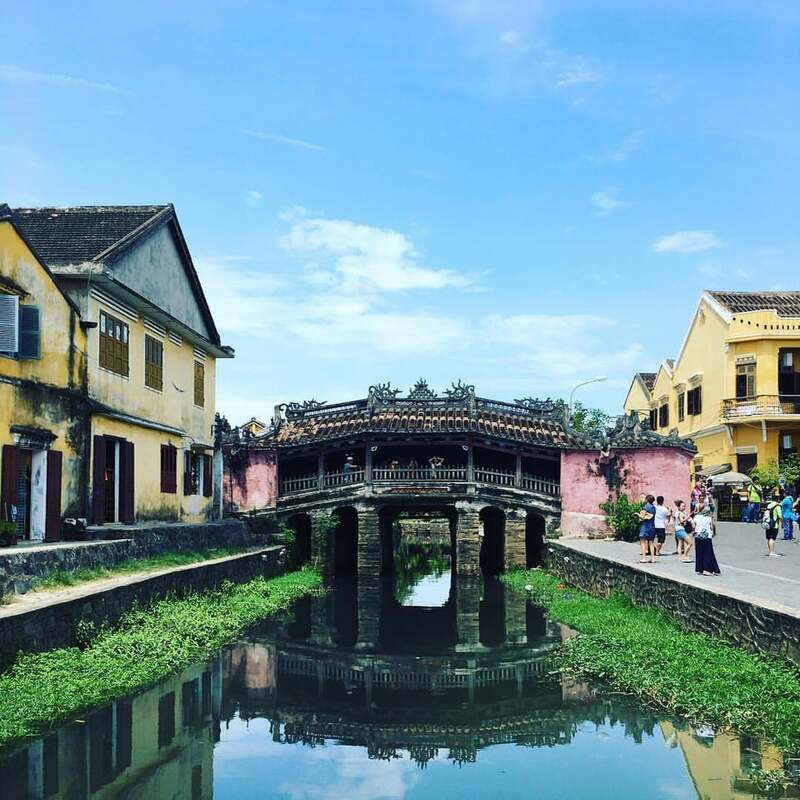 How to get to Hoi An Ancient Town? By bus: There are two different bus stations in Hoi An nowand the public buses to Da Nang leave from the station about 2km north west of the centre on Le Hong Phong. A xe om from Hoi An bus station to the old town should be around 10-15,000 dong. Between Hoi An and DaNang there is a yellow, public bus #1. It stops just outside Hoi An city centre (about 10 min walk) and runs thru DaNang centre (here it has several, market stops). As of May 2015 the price is 20.000 dong. The price is listed on the door and inside the bus. It may read 17k, but the updated correct fare is 20k. Text size vary, it may be in the back. The whole trip takes about 40-50 min. By Motorbike: It is easy to take a motorbike or taxi to and from Da Nang via the Marble Mountains (see below), from where you can catch a train onwards. This trip cost 460,000 dong from Da Nang bus station, by the meter in Jan 2013. You need bring your camera to caught the spectacular sightseeing of the nice city. You should be careful with your belongs. Hoian is so well preserved, a breathing, living old trading port of South East Asia. Of course the sea trading is now replaced with tourism. Surprisingly, it seems to enhance the place, making it a romantic, magical place to wander around especially night time when the lanterns are lit up. Restaurants and coffee shops abound, small, narrow lanes, very lively in the evening. Daytime with its faded colonial buildings, old shop houses, it is a photo op. Nearby clean, beautiful, non crowded beaches are there to spend the morning or afternoon lazing in the sun. Green fields, simple rural living are still to be seen outside the city.